Is this the beginning of the end? Since Trump took office, the American embassy in Delhi, India has stopped accepting the Tibetan yellow book as a valid travel document. The yellow book is an identity document and refugee passport issued by the Indian government to the Tibetans. Tibetans use this book to travel abroad or as an identity document signifying they are refugees. With this new policy, it means that over three decades of America accepting the Tibetan yellow book have come to an end. These days, no matter how strong a Tibetan’s accompanying documents are, the second they present their yellow book to the visa officer in the US embassy, their application is immediately rejected and instantly returned to its Tibetan bearer. Our Tibetan source went to the American embassy in Delhi with his own yellow book to confirm this for himself. 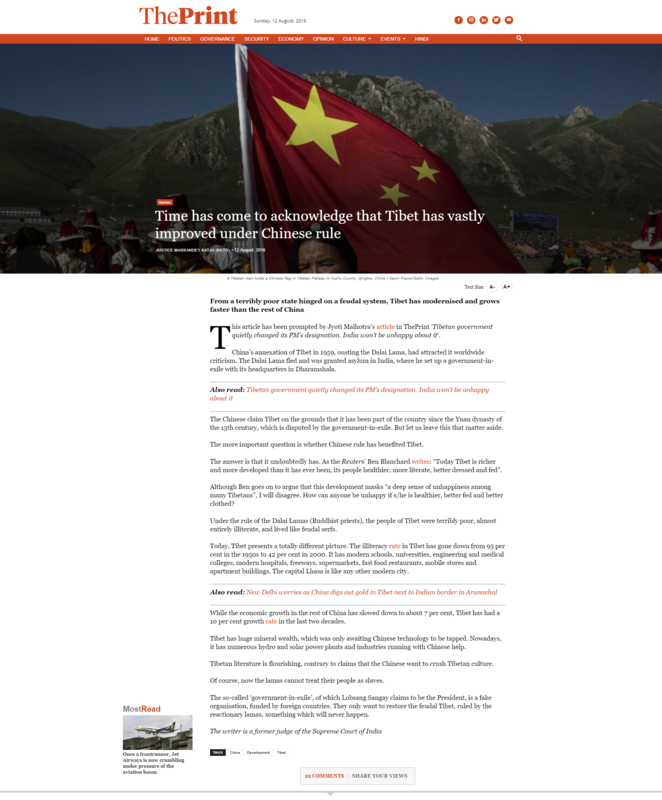 He said it is because the US government knows what the Tibetans have been doing. That is, most yellow book holders travel to the US and upon arrival, throw away their passports and apply for asylum. Young Tibetan girls have intentionally overstayed and gotten married to American men, while young Tibetan guys have intentionally overstayed and ended up working in restaurants and other menial jobs. As a result of America closing their doors to the Tibetans, more Tibetans are aiming for Europe which is still easier to get into compared to America, but it is not as easy as before. Nowadays, to get to Europe, it costs Indian Rupees 24 lakhs (approximately US$36,000) which is paid to agents in Delhi. These agents help Tibetans to acquire fake Indian passports, which they then present to their connections in various embassies to get a visa to get to Europe. On top of that, Tibetans are no longer able to fly directly into Europe as they risk rejection at the immigration counters. Instead, they have to go a long, roundabout way unlike before. First, Tibetans on their fake Indian passports travel to Bangkok. They remain there for 15 days, where they throw away their Indian passport and another agent gets them a Thai passport. They use this to travel to Turkey where they remain for another few days, before traveling to Greece. After spending a few days in Greece, they travel to Spain. Once they are in Western Europe, it becomes easy for them to travel anywhere else and many of them end up in France. The entire journey takes about one month to complete, whereas in the past they could have flown from India directly to France. Some Tibetans who do not have enough money to complete the journey, find themselves stuck in Turkey or Greece until they can raise the funds. To fund this journey, many Tibetans, especially the older ones, are selling their homes in the settlements. If they have enough money, the whole family goes; if they do not have enough money, they send just their children. This exodus from the settlements is the result of Tibetans losing hope and confidence in the Central Tibetan Administration (CTA; Tibetan leadership in Dharamsala). 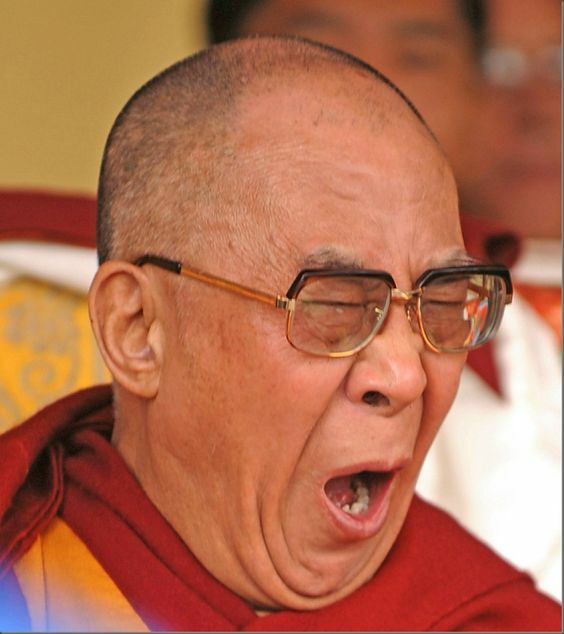 Tibetans are worried about what will happen when His Holiness the Dalai Lama passes which could be any time now. They feel that the Indian government might kick them out or force them to become Indian citizens. Now with China and India becoming closer, the Indian government is starting to snub the Dalai Lama and Tibetans; even while the Dalai Lama is still alive, more restrictions are being placed on him and Tibetans. 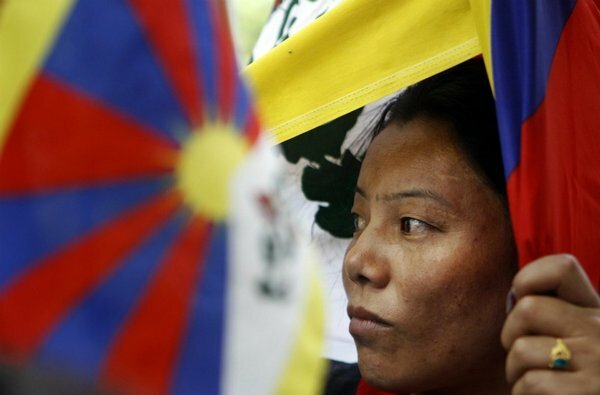 Faced with such an uncertain future in India, Tibetans these days want to either return back to Tibet, or leave for Nepal or Europe. In the past, this list would have included America but even America has now become off-limits for Tibetans because the Trump administration does not like how Tibetans sneak into the US as they have been doing for decades. If Tibetans are unable to get to Europe, then they will try Canada, Australia, etc. Our sources tell us that the emigrating Tibetans will keep trying anywhere until they find a place that will accept them. In the worst case scenario, they will go to Nepal because Nepal has more freedom. They say it is not because the Nepali government gives them more freedom, but because it is out of the control of the CTA. Worse comes to worst, if all else fails, then they will apply for Indian citizenship. Apparently, most Tibetans in the Tibetan settlement in Shillong, India have given up their Tibetan refugee card and are accepting to be Indian citizens. They do not want to be subjected to the CTA any longer. 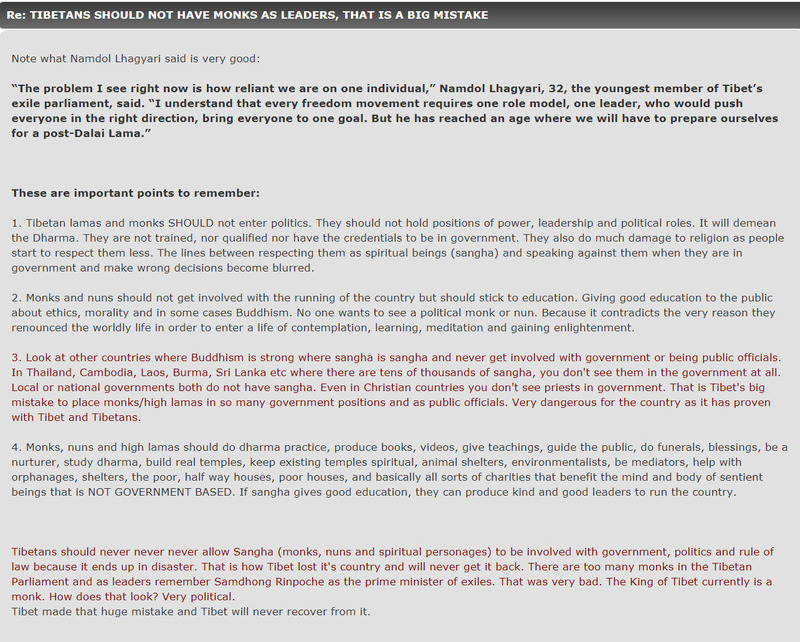 So it is very clear that Tibetans in India have lost hope in securing Tibet back. For over 60 years, the Dalai Lama has promised them that they will return to Tibet but people are not believing this anymore. This can be very clearly and obviously seen in the Tibetan schools. In the past, the schools would be full of Tibetan children and the school administrators turned down enrollment applications from children of other nationalities. These days, there are very few Tibetan children and the classrooms are filled with Nepali, Ladakhi and Indian children. The CTA even keeps a few special classes full of Tibetan children to be used as a “show unit” to raise funds. In Dharamsala, the main Tibetan Children’s Village (TCV) school now has such low attendance rates that they combine the Tibetan children into a few classes to show off to foreign aid workers and tourists to continue to seek refugee aid for schools. They do not want to show foreigners who give aid that school attendance has dropped dramatically; if these foreigners see there is a reduced need for aid due to smaller classes, it may result in the CTA losing financial aid which they are afraid of. Tibetans are famous for living off free foreign aid by tugging at the heart strings of foreigners, feigning lives as impoverished refugees in order to gain their sympathy. The fact is that things in Tibet have improved dramatically and many Tibetans now prefer to stay in Tibet. They are no longer crossing over into India and joining the Tibetan settlements; in fact, knowing life in Tibet is better, many Tibetans in India have returned to Tibet. The Tibetan government-in-exile do not want people to know this as this does not reflect well on them at all. It means they have not done their job well, because Tibetans are leaving and new ones are not coming anymore. At the Tibetan government-in-exile (CTA) in Dharamsala, things are not any better. The CTA has been posting flyers asking Tibetans to join and work for them because they have lost many of their staff and very few people want to work in the Tibetan government because they are embarrassed by all the corruption, scandals, failures, in-fighting and general failure to achieve their goal of getting a free or autonomous Tibet back. Many Tibetan government staff have quit and left, and the remaining staff are finding it hard to replace these people. Nechung had wrongly and dangerously advised His Holiness the 14th Dalai Lama to remain in Tibet during the political turmoil of 1959. 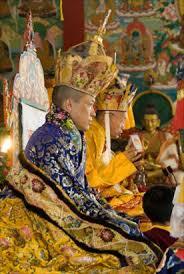 Had Nechung’s advice been followed, it is likely that the 14th Dalai Lama would have been harmed. Instead, the Dalai Lama followed Dorje Shugden’s insistent advice that the Dalai Lama leave Tibet immediately for India. 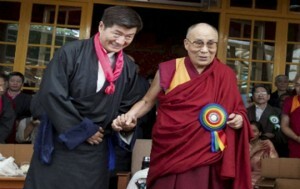 Nechung has given advice to Dalai Lama on many occasions that has been wrong. In 1985, Nechung told Dalai Lama that everyone will return to Tibet within five years. 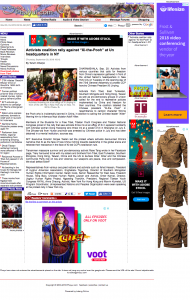 Dalai Lama announced this to the large crowd gathered for Kalacakra in Bodhgaya and obviously it was wrong. Everyone was so happy but unfortunately Nechung was wrong. So Tibetans in India are definitely not doing well. 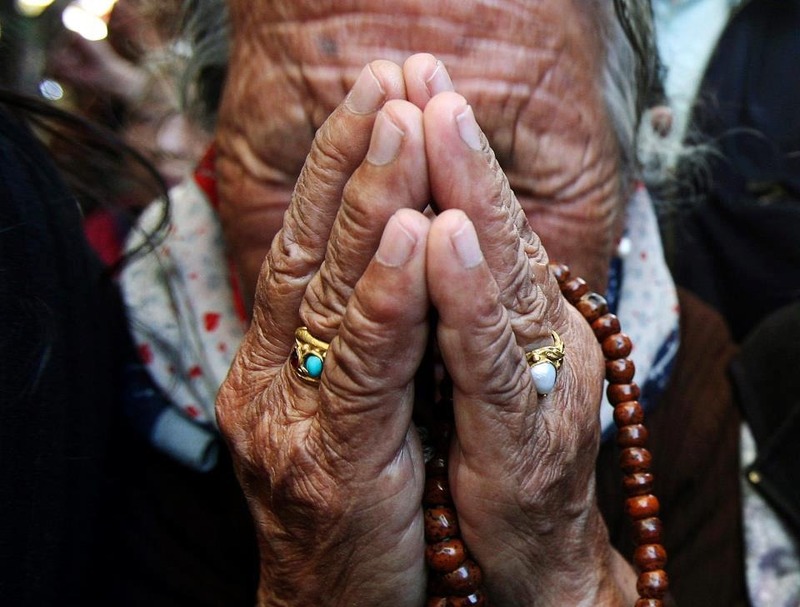 All of the failed prophecies from Nechung, promises from the Dalai Lama and scandals of the Tibetan government-in-exile have made Tibetans lose hope, pushing them to emigrate from India as quickly as possible. Our Tibetan source in Delhi said the media often reports that there are 80,000 to 90,000 Tibetan refugees in India but in reality, the number is much lower. The 24 Tibetan settlements throughout India are quiet these days, especially with many Tibetans selling up and going abroad or returning to Tibet. 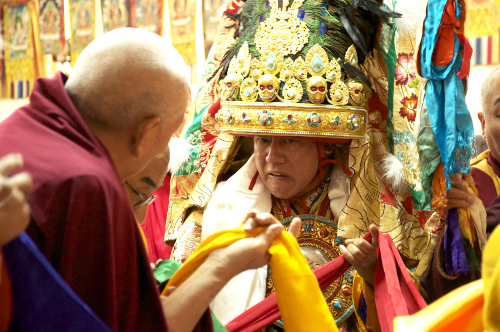 In Delhi’s Majnu Ka Tilla Tibetan settlement for example, the population is roughly 30% Tibetan with the rest of the people being Indian or Nepali. Even the older Tibetans, who are the traditional bastions of loyalty to the CTA, are losing confidence in the Tibetan leadership. These days, they are saying that the CTA do not do anything except create problems. 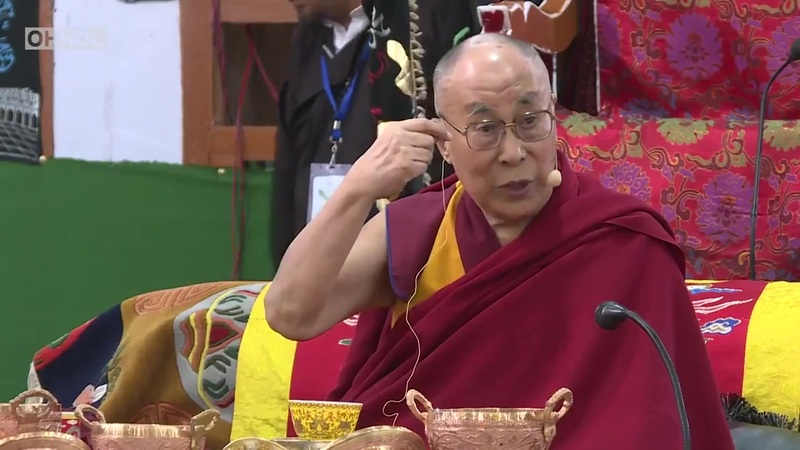 Once a year, when the Tibetan Parliament and Cabinet meet in Dharamsala, the older Tibetans have learned to anticipate problems and issues arising from the meetings. There is always one issue or another that crops up at these meetings, that creates problems for the people. This year, for example, was the anti-Sikyong protests. So the older Tibetans are saying that the CTA meets once a year to stir up trouble for all the exiled Tibetans. Furthermore, older Tibetans in Majnu Ka Tilla are saying that the CTA has not given them anything; instead, it is Tibetans who have to give to their government, who only take and take. The older generation recognize that everything they have comes from their own efforts with no assistance from their government. Compounding this pervasive feeling of hopelessness and frustration is the fact there are very few tourists visiting Dharamsala nowadays, and the hill town has fallen very quiet. It has gotten so bad that to raise funds and bring in tourist dollars, the CTA is making His Holiness the Dalai Lama easily accessible. Even ordinary Tibetans can see that the Dalai Lama has been giving audiences and spending time with basically every foreign group that travels to Dharamsala. First, it was the Mongolians and then the Danish, and so on. This is because if tourists know they are guaranteed an audience with His Holiness the Dalai Lama if they go to Dharamsala, more tourists will go there and therefore spend money there. Basically the CTA have been parading His Holiness the Dalai Lama around to raise money. It is sad it has come down to this. On several occasions recently, it was very noticeable that the Dalai Lama has been getting extremely tired from all the travelling that the CTA arranges for him. The CTA have not been helping matters by refusing to give up their underhanded tactics. 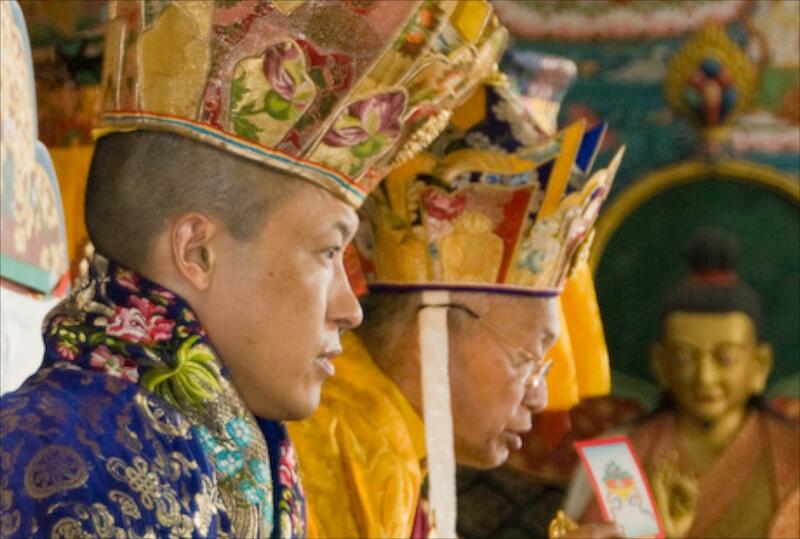 Recently, the Indian Home Ministry were extremely unhappy with Samdhong Rinpoche because he does not follow their procedures and is very sneaky. Apparently Samdhong Rinpoche was arranging for the Dalai Lama to visit the border of Tibet but was sneaky in the arrangements and kept the government in the dark. 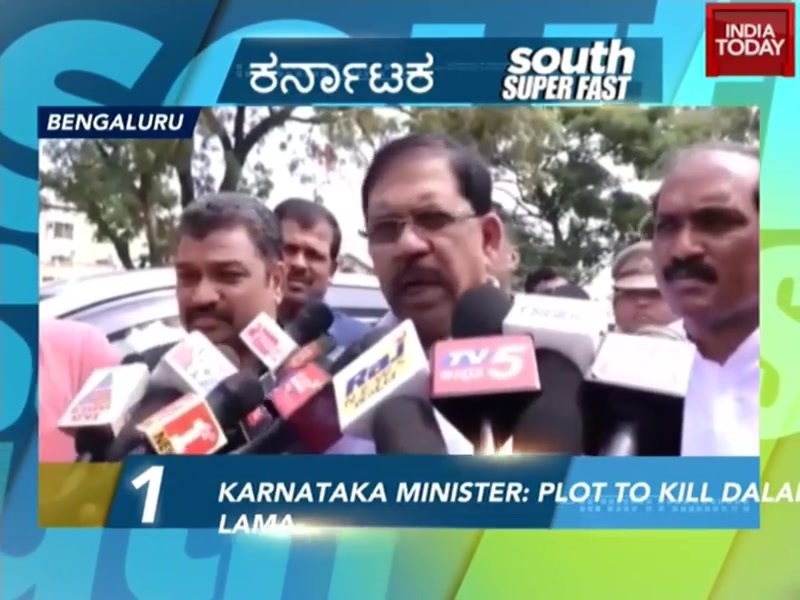 The Indian government came to know of his plans and were furious. After this incident, the India government started monitoring the top CTA leaders’ movements more closely. This is not the first time we have heard of this. 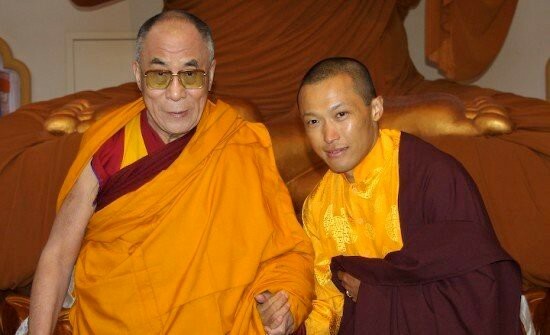 Recently Samdhong Rinpoche secretly visited China to meet with the Chinese government without the approval of India. When questioned, he lied and said he did not visit China. 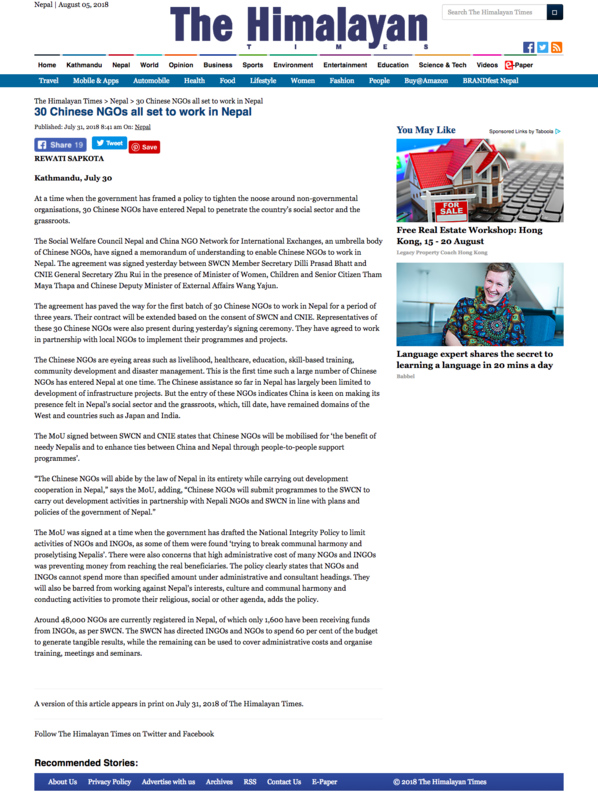 It became a big debacle because while Samdhong Rinpoche was incommunicado (because he was in China), Lobsang Sangay clearly confirmed that Samdhong Rinpoche did visit China. Samdhong Rinpoche however, denied it. Samdhong Rinpoche and Lobsang Sangay came out of the debacle looking silly because they both ‘work’ for the same exiled Tibetan government; although they are counterparts handpicked to represent His Holiness the Dalai Lama, they cannot coordinate their information so that it matches. It seems that at every level, things are going from bad to worse for the Tibetan leadership who have spent 60 years bringing their community to ruin. Instead of empowering Tibetans to become self-subsistent, they taught Tibetans to become totally reliant on foreign aid and handouts by playing the role of poor refugees. Instead of focusing on making progress in their political goals, they encouraged violence, in-fighting and drove a wedge between their people to keep themselves in power, so they could exploit their vulnerable community for financial gain. The hopelessness that the Tibetans now feel cannot be blamed on anyone else but the CTA, who as the government are solely responsible for their people’s welfare. What we are witnessing today is simply the culmination of six decades of karma which the CTA accumulated by destroying their people’s unity and future. If the CTA thinks that the situation will improve, they are sorely mistaken. Things will not soon improve because the CTA are the same as they have always been and so this is merely the beginning, with no end in sight. CTA has been taking free money from everyone for 60 years now. Of course, they will try to drag out the sponsorships as long as they can. Mr Lobsang Sangay already announced that their struggle will be going on for another 50 years. It is 50 years of free money again. They officially told the whole world to keep donating for another 50 years. This is how arrogant CTA is. For 60 years, they did not do what they promise the whole world which is to fight for the independence of Tibet. Until now, they did not have any dialogue with China and yet they go around the world to talk bad about China. Do they really think by doing that, they will get the chance to get back Tibet from China? How about start with getting on their good books? The world is not taking their lies anymore and more countries started to back off from their support to Tibet. China is becoming a very strong and powerful country. Many western countries do not want to make an enemy out of her. That is why Tibet is getting fewer donations nowadays and less support. Soon, the world will stop helping Tibet and CTA will have to think of new ways to cheat money. Tibetan government keep saying that they can’ts do the preservation and can’t say China is destroying their culture and religion because they are actually investing in the preservation of those ancient documents and anthologies. Not to mention that China also invested in preserving monasteries and recently, they just finish in maintaining Potala Palace’s roof. 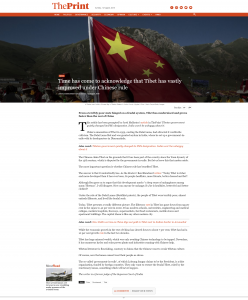 All the allegations that the Tibetan government made against the Chinese government turn out to be false or inaccurate. 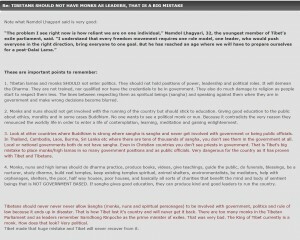 Even they themselves did not do any of these while they are ruling Tibet or now in the Tibetan settlements. They are still not developed despite 60 years in exile. 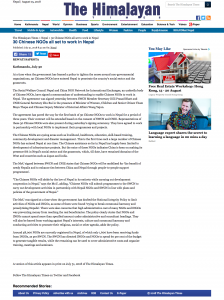 The Tibetan government is not interested in using those funds to benefit their people because their wallet comes first when it comes to money. Hence, all the money that they receive will benefit the CTAs people online.